Can I use my existing OctaPlus lightbank on the TECH Multi Bracket? The existing OctaPlus design is not backwards compatible with the new TECH Multi Bracket. By design, the OctaPlus lightbanks were designed with bare bulb fixtures in mind, and feature a shape to complement that. The new OctaTECH lightbanks are designed to produce the same even, wrapping light of an OctaPlus, when used with panel LEDs, which output a significantly different quality of light compared to bare bulb lights. 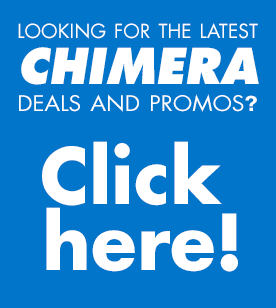 https://chimeralighting.com/wp-content/uploads/2017/08/chimera-lighting-logo-copy.png 0 0 Chimera Lighting https://chimeralighting.com/wp-content/uploads/2017/08/chimera-lighting-logo-copy.png Chimera Lighting2017-02-21 07:35:272017-07-03 13:37:17Can I use my existing OctaPlus lightbank on the TECH Multi Bracket? What accessories are available for the ARRI SkyPanel S30 lightbanks? Can I use an OctaPlus with my LED Panel?